The structure of the Master of Management Studies program is designed to ground you in each of the functional areas of business, while helping you explore different industries or opportunities you may want to pursue. Here, you’ll find classes and experiences that help you take initiative, push your limits, and develop the skills you’ll need to launch a career you love. The 10-month format is a jump start on your future. In mid-July your program starts in Durham, NC with a launch experience and set of workshops that prepare you for the curriculum. It’s an exhilarating introduction to the international peer group you’ll be working closely with—in your section, and on your learning team. The rest of your program is organized into five 6-week terms. In less than a year, you’ll be ready to start your career in finance, marketing, consulting, or general management. All Fuqua degree programs are taught by the same world-renowned faculty, scholars recognized for excellence in both teaching and research. The classes they teach are academically challenging and relevant to business today. Despite world-class credentials, your professors are highly accessible—with an open door policy, they’re often happy to continue a classroom debate over coffee or lunch. 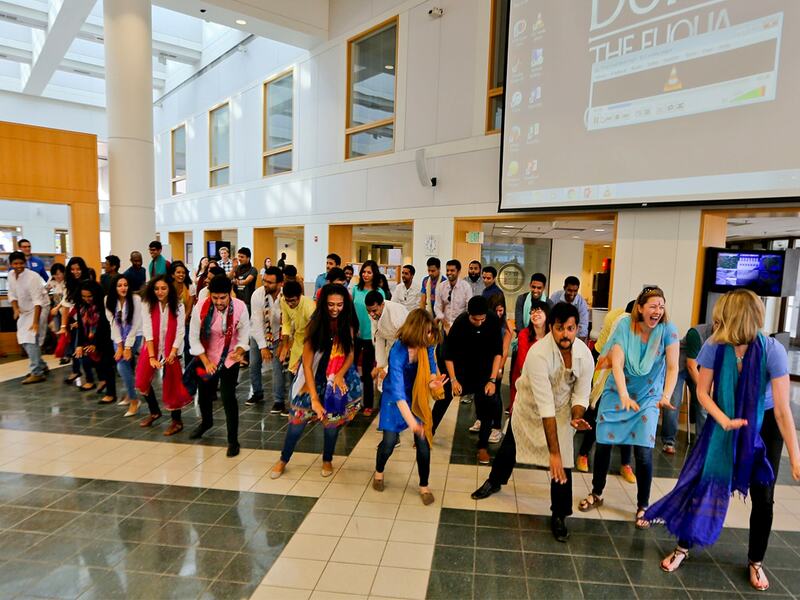 What sets Fuqua apart is the way we structure our programs—as learning teams. You’ll collaborate on coursework and projects with a team of 4–6 students hand-picked to ensure you learn from people with different backgrounds. Replicating a corporate environment, you’ll learn as much from your team experience as you do from your courses—gaining an understanding of the ways drawing strength from others leads to better results.